Home » Services » We Support our Veterans, Military Personnel, and Spouses! We Support our Veterans, Military Personnel, and Spouses! We provide our DIY LinkedIn Makeover Kit (Normally $100), free of charge to any US Veteran, active military or their spouse. If you are a Veteran in need, we are more than happy to work with you to make our services affordable to you. It's not easy transitioning into the corporate world from military life. We provide support to assist in easing the transition AND we provide our products free. If you are in need, we will work with you to make our services affordable. Please contact us to learn more. 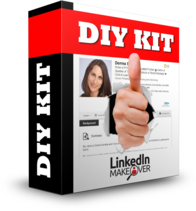 I am happy to provide my DIY LinkedIn Makeover Kit, free of charge to any US Veteran or active duty Military. In order to claim this product, simply follow me on LinkedIn and fill the form below. That’s all! By pressing Submit, you certify you are a United States Veteran, Active United States Duty Military or Military Spouse. Answer: I leave it up to you. If you can afford the DIY product and want to pay for it, go right ahead! I believe in the value my products offer and know they are worth every penny. But with that said, I offer my products (DIY KIT, TOOLBOX, EBOOKS) to you free of charge because of your service to our country and the sacrifices you made. Question: Do you need me to show you my discharge papers? Answer: Nope, I trust you. All you have to do is show that it's listed on your LinkedIn profile and that's good enough for me. Answer: YES! All branches of the US Military are eligible. Question: Do I need to connect with you on LinkedIn? Answer: Not really but it would be a good thing for you to do. I have over 29,000 people in my first degree network, many of them recruiters and over 30 million+ in my entire LinkedIn network. By connecting with me, I can share with you my vast network so you can more easily collide with opportunity. But it's your call. Question: What kind of a discount are we talking about on your services? Answer: Because it's a service and I employ real people (who deserve to be compensated) to do the writing and consultation, I can't give it away for free. But if you are a veteran in need, I will work with you to figure out how we can help you and what makes sense for your goals. 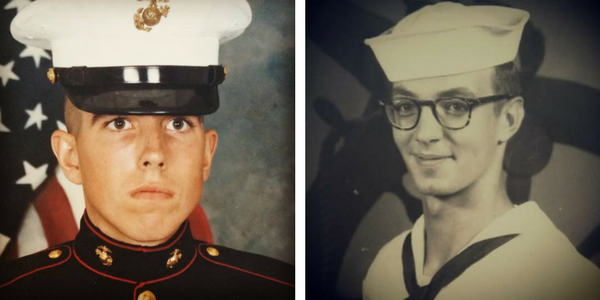 I thought you might like to see two old pictures... my husband is on the left and my father is on the right.